If you are looking to get the life you want, you are in the right place. This website is packed with information that will help you do just that and, remember, it costs you nothing. People from all over the world visit this site and the daily page reads run into many thousands. Failure is a detour, not a dead end street. But we are all a little different. Some of us benefit greatly from wide reading, absorbing constantly as we go. Others prefer to be shown the way: they might even need hands-on demonstration and to be able to participate in practical exercises. Most of us probably benefit from a combination of the two, but one thing is certain: you need to read the words of experts, and you need to see expert demonstrations. 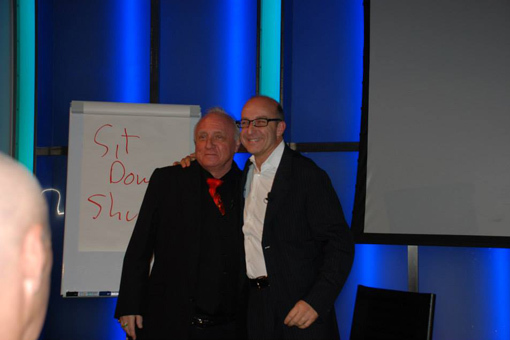 Fortunately, those two great masters of change, Richard Bandler and Paul McKenna, get together in London from time to time to run a two-day weekend seminar called Get the Life you Want. If you have no previous experience of NLP, this seminar is a glorious introduction to hypnosis and NLP. But even if you are a practitioner, master practitioner or trainer, it is still a must-attend event, because you will be able to refresh techniques you know and be inspired by the masters to learn and practise new ones. And if you haven’t seen Bandler and McKenna in action together before, you are in for an absolute treat. 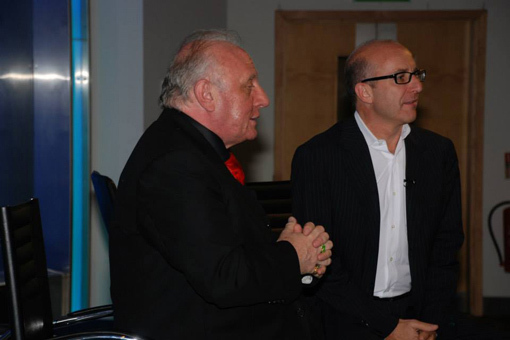 After a long break between performances by Richard Bandler and Paul McKenna, the boys were back in town in 2011 for the Get the Life you Want two-day seminar. Demand was so great that the event had to be transferred from the original venue in West London to a conference venue at Wembley Stadium. Even then it was a sell-out with over 1,500 present. 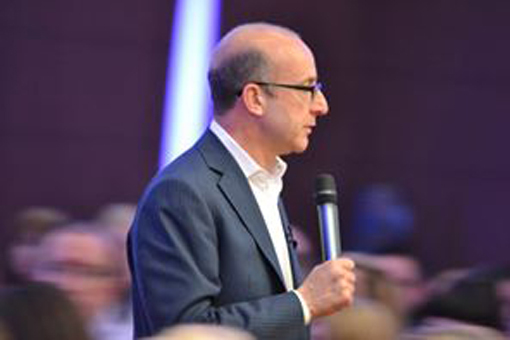 From the moment Paul McKenna kicked off the seminar, the whole audience rocked. His, and Richard’s, ability to elevate the mood of an audience is simply amazing. 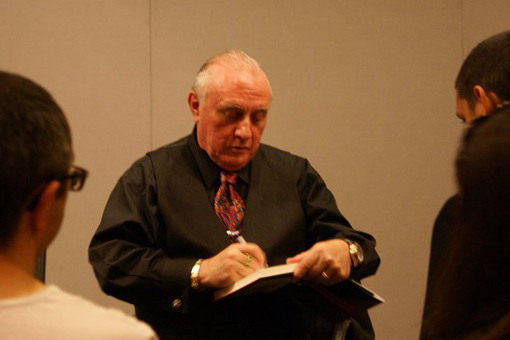 Just imagine having the opportunity to be trained by Richard Bandler and Paul McKenna! Richard Bandler is well-known, of course, as a co-creator of NLP (or neuro linguistic programming), and as sole creator of Design Human Engineering (DHE) and Neuro Hypnotic Repatterning (NHR). He has authored many books and conducts seminars and other teaching events in various parts of the world. Richard believes you can be whatever you want to be and will teach you how. He has changed the lives of millions with techniques which take but a few seconds to learn, and I have witnessed him do it on many occasions. Paul McKenna, who is perhaps better known in the United Kingdom, but whose many self-help books sell worldwide, was originally a radio presenter before becoming a stage hypnotist. Then he attended a training event run by Richard Bandler and was coached by Richard Bandler to Master Trainer level. Like Richard, many of his personal clients are celebrities in their own right. Believe that you were born to succeed, to be happy, confident and powerful. If you have your doubts, this is the seminar to get you going. Even if you don’t lack confidence, these two will add impetus to your ambition and drive. When I attended at Wembley in 2011 the event was a sell out. Last year it was a sell out. In 2014 it was another sell out. It is not clear yet when the next event of this kind will take place. But watch out for it. You will want to join the hundreds of people whose lives have already been changed by Richard Bandler and Paul McKenna? Begin to direct your life where you want it to go. This whole experience is more than fantastic value for money – it is a great investment in your own life. I make sure I attend these events. Apart from the wonderful chance to refresh my learning, I also have the amazing opportunity to renew acquaintances and meet new friends.